Thank you, I do have Premium. Yes, I know this computer won't last forever, and I have a Windows 8 computer for backup. I just don't like Microsoft pushing the hard sell ... the rebel in me Many thanks!! Windows 7 will not stop working, it just won't receive any more security updates from Microsoft. Malwarebytes will continue to work on Windows 7 as well, and will protect you from any know threats. If you are using the Premium paid for version it will go a long way into keeping you safe. Eventfully just like with Windows XP, you will have to upgrade. Oh you know what ? Some points tend to confirm what you say, and some infer some doubt. On one side, Firefox could not access the authentication on the Airbox either with a new profile, or while using a portable installation, or by using it on a smartphone. On the other side, the payable program that is proposed on your site arises an alert at the level of the password input field, and the authentication is quite OK with Internet Explorer. So, do you mean that program arises a false alert, and Orange programmed an authentication page that seems not to be compatible with Firefox ? Except if there is something that is not detected by FRST and I have to analyse my smartphone too ? When I logged onto my HP desktop work horse computer this morning - the one sporting Windows 7 and working like a champ thanks to your services - it reminded me that Microsoft will no longer support Windows 7 after January 2020. They say it has been 10 years ... that's enough. It's hard to predict what will happen in the next 8 months, but I plan to continue scanning and maintaining my computer like usual, and I'd like to continue using it into the foreseeable future. 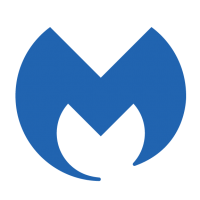 So my question ... will running Malwarebytes be sufficient to keep my machine safe from the predators out there? Hi, Good, all should be well. Hi, There are may entries in your logs referring to Baidu should we remove them all. Are you using the service? I can remove them all is you wish. Large companies holding Personally Identifiable Information ( PII ) and their failure to protect that data and/or share that data without your expressed permission is a problem. Limiting your exposure to having a large number of web sites having PII is a start. For example if you have five doctors that each tell you to create an Internet, web, account, don't do it for any of them. Send companies you have subscription and leases with a Right of Privacy and Opt-Out notification. Tell them they are legally bound to protect your data and they are NOT allowed to share that data or collect meta data. However, if a stolen password is current and can be used at a banking or other financial site or a site that contains PII can lead to Identity Theft and can have greater and more profound consequences. You stated... " Also, once all that info is in the wrong hands, no amount of Password changing will make up for the SS #'s, mother maiden names, etc will get it off the internet. " With fixed data such as a SS#, yes. However sites that have challenge questions or ask your mother maiden name have them change the information or ask something new. This would go for any compromised challenge question answers. Hi, Nothing suspicious was found in your logs. Firefox may have been compromised. Remove and re-install Firefox Before proceeding save your Bookmarks. (Export) https://support.mozilla.org/en-US/kb/export-firefox-bookmarks-to-backup-or-transfer Firefox Password manager - Import your passwords. Password Manager - Remember, delete, change and import saved passwords in Firefox https://support.mozilla.org/en-US/kb/password-manager-remember-delete-change-and-import#w_protecting-your-passwords If the problem persists in Firefox and you are Syncing with other Devices reset it. https://support.mozilla.org/en-US/kb/how-do-i-set-sync-my-computer When all is well you can re-sync your devices. Clean the Firefox Cache. https://kb.iu.edu/d/ahic#firefox Remove Firefox using the instructions one this page. https://support.mozilla.org/en-US/kb/uninstall-firefox-from-your-computer Restart the computer normally. Install the latest version of the application. https://www.mozilla.org/en-US/firefox/new/ Import your Bookmarks. Same link as the Export function above. Restart the computer normally. <<<>>> How is it now? PROBLEM with "Symantec Encryption Desktop Professional 10.4.2 MP2"
Thanks for the file. Testing shows that Symantec Desktop Encryption 10.4.2 MP2 registers an LSP/Winsock DLL which is causing MBAMService to crash. This is a known issue with Malwarebytes version 3.7 on Windows 10 due to the introduction of an Early Launch Anti-Malware (ELAM) driver. We're currently working on a fix for this issue. I'll provide an update once it's released. Support have informed me that you also have a help desk ticket, so you will get a response to that as well. No. Basically it shows that that email address ( or addresses ) were associated with a data breach and that would indicate how this occurred... " ...saying they had my password (they showed a partial of a pw I used in the past), " If that password is used anywhere now, please change it to a new Strong Password. I went to the https://haveibeenpwned.com/ website and am working my way through the various websites that had data breeches. Are you suggesting I check my email further? If so, how? Thanks for spending your time helping me! Hi, Your copy of Chrome may have been compromised Remove and re-install Chrome Remove Chrome from your Computer and reinstall a fresh copy later. If you remove the syncing of your account you must remove it before you save your bookmarks etc... Delete Your Google Chrome Browser Sync Data if you sync with other devices. <- Important ... https://forums.malwarebytes.com/topic/214325-chrome-secure-preferences-detection-always-comes-back/ Before you remove Chrome Export your Bookmarks Chrome will export your bookmarks as a HTML file, which you can then import into another browser. How To: http://ccm.net/faq/31791-how-to-backup-your-google-chrome-bookmarks Before you remove Chrome Export your Passwords How to export your saved passwords from Chrome https://betanews.com/2018/03/09/export-chrome-passwords/ Clear your Chrome cache and cookies https://support.google.com/chromebook/answer/183083?hl=en Remove Chrome using the the instructions on this page. https://support.google.com/chrome/answer/95319?hl=en Re-install Chrome and the Bookmarks. <<<>> How is it now? PUP.Optional.MySearchDial - What is it? Shouldn't Malwarebytes remove the infection? Looking at the VBA code you posted, it doesn't look like there's any Mac-specific code, which is good. Also good is the fact that recent versions of Microsoft Word are sandboxed, meaning that the VBA code they contain should not be able to access files on the hard drive, as they would need to in order to install malware. There are some known sandbox escapes, but I don't see signs of that kind of thing either. I suspect this is targeting Windows specifically. I'll run it on a test machine later just to make absolutely sure, but I think it's likely that no harm was done. You should probably alert your friend to the problem. There are two possibilities for why you got the e-mail from him. One is that someone spoofed his address, without having access to his account. However, that seems unlikely, as this wouldn't allow that person to have knowledge of the connection between you and him. The other, and more likely, possibility is that his e-mail account has been hacked and used to send malware to all his contacts. Because of this, I'd tell him to change his e-mail account password ASAP. Then, he should also change the password on any online accounts using the same password, as well as any accounts using a different password but associated with that e-mail address. (Such accounts could have their passwords reset with access to the e-mail account.) If he's not using different password on every account, and keeping track of them with a password manager, he should start doing that.